Investments in firms specialized in finance have plummeted during the last few years. In 2017, over 1134 transactions took place in this field, accounting for more than 31 billion dollars, 24% higher than 2016. This is mainly due to the fact that mobile technologies create innovation and growth opportunities that modify and improve user experience in financial services (Insurtech, Online Banking, mobile payments, etc). The numbers are impressive and the future of fintech is promising. Nonetheless, several challenges have come to crimp their growth prospects. Challenges faced by fintech firms are mainly linked to their geographical environment and the regulations associated with it. To begin with, fintech firms based in Europe have lagged behind for several years compared to American ones. However, since the beginning of 2017, the old continent has turned the tide, and has invested more than 880 million dollars in the fintech industry. The US on the other hand, saw its investments dramatically decrease despite the creation of numerous fintech companies all around the country: investors, and especially business angels, seem increasingly reluctant towards the field and its shortcomings. According to a study by Invest Europe, fintech firms in Europe have long been undervalued by the market while offering substantial added-value and more interesting growth perspectives than their American counterparts. In fact, American fintech companies were overvalued (In average 46 times their turnover) but didn’t offer a higher return on investment than European fintech firms. Thus, investors were more likely to invest in Europe due to more promising returns. Also, American fintech start-ups are hindered by the current economic and political environment in the US. In fact, the presidential election and the increase of interest rates have boosted market uncertainties and pulled back even more investors from taking risks on these start-ups. The field is relatively new, and the regulatory framework is not exactly tailor made to support fintech growth or facilitate its expansion. In fact, The United States pays special attention to services related to finance; especially since the 2008 financial crisis, and also considering that these services include personal information and privacy requirements. For instance, the new GDPR (General Data Protection Regulation) that will be applied starting May 25th, 2018 in Europe, will have an impact on US regulations as American companies that use European citizen’s data will have to abide by GDPR rules including fintech start-ups that will be subject to the same sanctions. On the other hand, some European countries are known for their flexible regulatory framework towards start-ups in general, encouraging entrepreneurs to develop new activities and services. For instance, the United Kingdom is becoming a fintech hub thanks to its regulatory framework that makes it possible for fintech firms to develop their services within a clear legislation, and also the concentration of many financial services companies and international banks in London. These institutions chose the city as their Headquarter and the location for their main activities. This represents a promising market for start-uppers in finance both to find competent and expert employees and investors as the market is booming. For instance, Philippe Gelis, the co-founder of Kantox, a Spanish start-up specialized in Risk Management and Management Solutions says that the reason why they chose to have their headquarters in London while their employees are still in Spain the regulatory environment offered by London which facilitates their expansion unlike regulation in Spain that hinders the fintech’s growth. 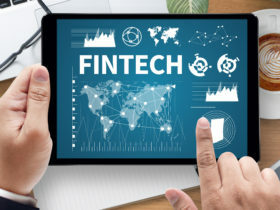 It appears that the main challenge is to implement a legislation for fintech firms that will protect users and markets while offering an environment favorable to growth. French President Emmanuel Macron, has already taken a few steps in this direction. The French government has decided to allocate more than 10 billion euros to encourage innovation and tech start-ups. Also, fintech firms will see their taxes and social charges decrease to help them concentrate more on their activities and added-value. France also introduced the ‘French Tech Visa’ to encourage foreign entrepreneurs to choose France as the headquarter to their start-ups, while facilitating the procedures to create enterprises in France. Europe is slowly but surely adapting its legislation and helping its start-ups expand, will the United States join the race?